Travel the world with the Kulu ND60:70, a larger volume women’s backpacking pack with patented FlipBelt™ technology designed to ease the stress of transit. All the kudos of a backpack combined with a set of travel specific features, the Kulu is our ultimate backpacking pack designed for travel to remote locations where wheeled luggage won’t go. 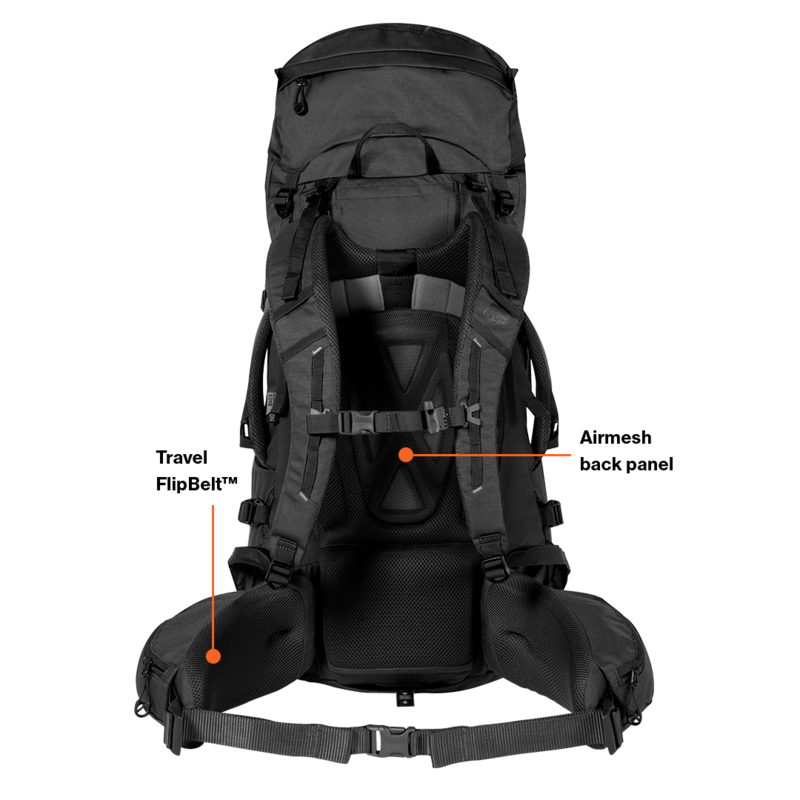 The Kulu ND60:70 offers a supportive and comfortable carry, with adjustable back length and AirMesh carry system. With plenty of space and pockets for your gear, the Kulu ND60:70 features a large zippered front panel for easy access on the go, plus a lower entry with a zipped divider to keep your kit separate. Essentials stay close to hand with hip belt pockets, while a secure internal lid zipped pocket keeps valuables safely stashed. Our patented Travel FlipBelt™ is a simple, no-nonsense design feature that allows you to stash the hip belt on the side of the pack when travelling. To enable, start by pivoting each arm of the hip belt so it aligns with each side of the pack then connect the arms to the side of the pack using the hidden travel mode buckles. The integrated rain cover doubles up as a travel cover to ensure the harness and other straps are secure during transit.